FOR SALE: Large, square bales, top quality, no rain or dust. 1st and 2nd cut Timothy, OG and Alfalfa Mixes. 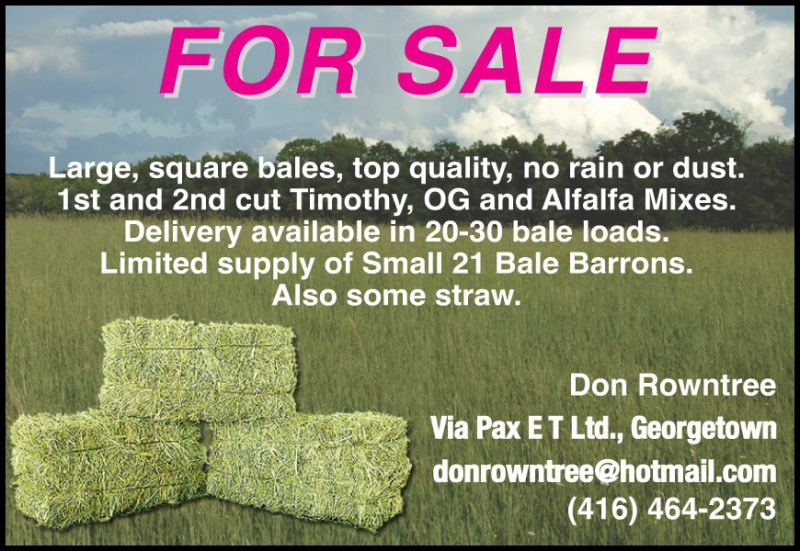 Delivery available in 20-30 bale loads. 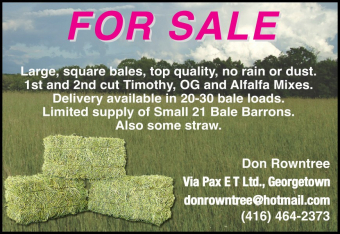 Limited supply of small 21 bale barrons. Also some straw.